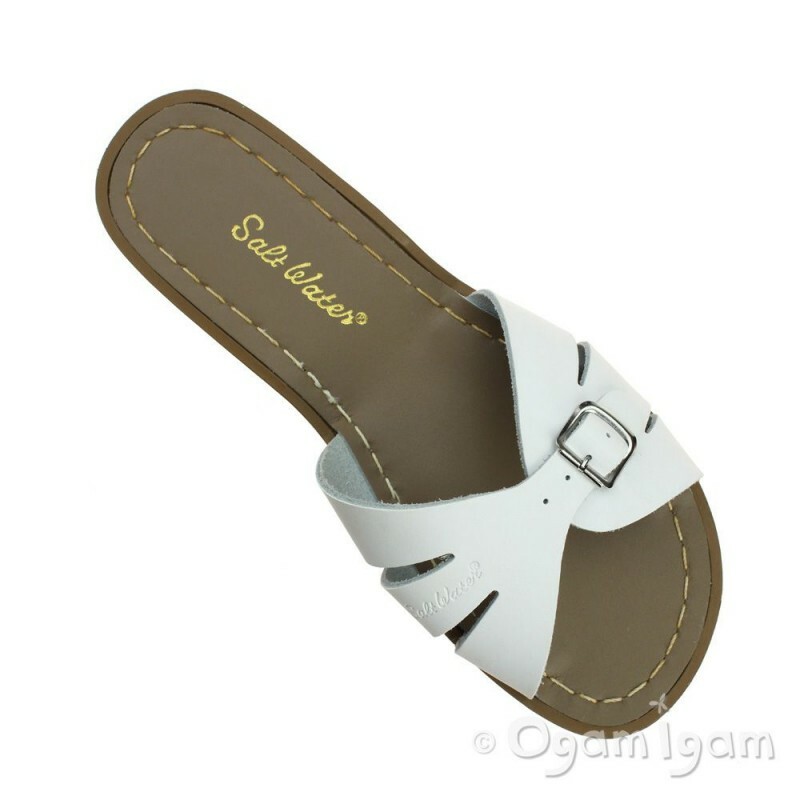 Salt-Water update its classic sandal in the style of the season, the slide! 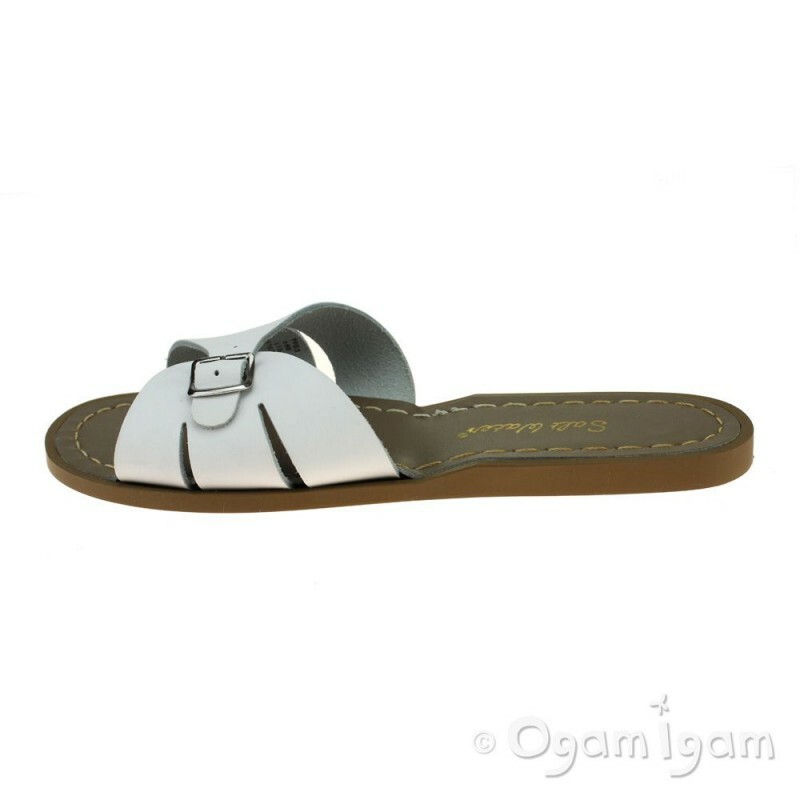 Perfect for an on the go women, this sandal combines the quality aesthetic of a Salt-Water with the convenience of a slip on shoe. 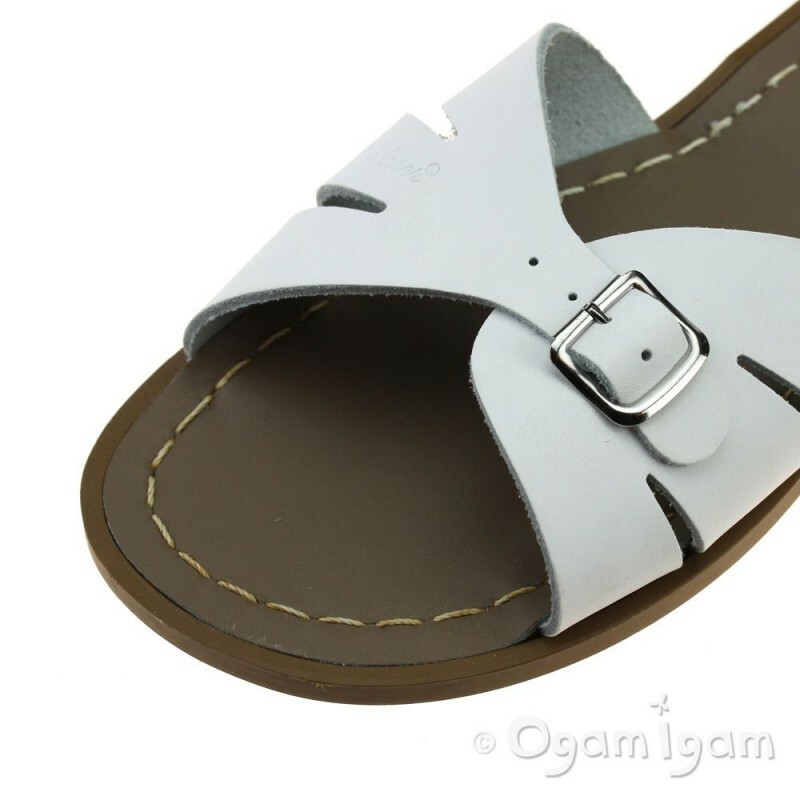 Featuring a white leather upper with adjustable silver buckle detail over the toe. 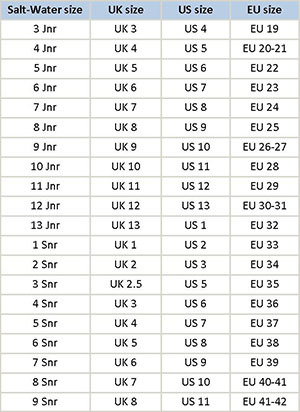 Brown leather inner sole with stitching patterns and a slim but durable rubber sole unit to complete the shoe. 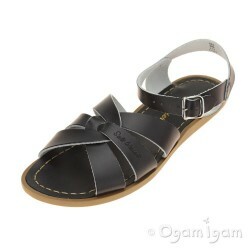 The treated leather is water-friendly and can be washed in gentle detergent. 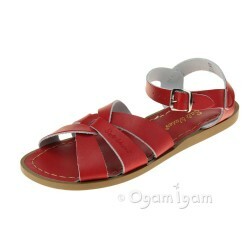 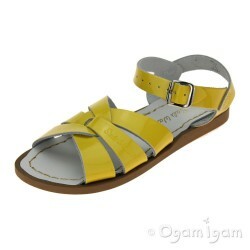 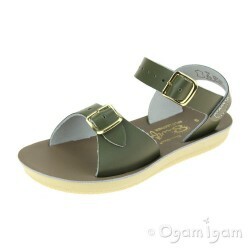 Perfect for keeping your new favourite summer sandal looking great for longer!